Suruli falls, is located 56 km from Theni and 10 km from Cumbum in the Theni District in Tamil Nadu, India. 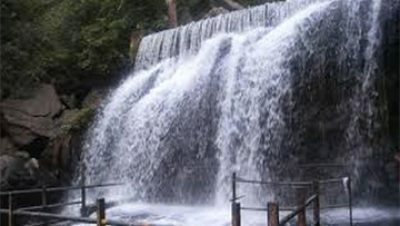 It is a 2 stage Cascading water fall. The Suruli River supplying the falls originates from the Meghamalai mountain range.